Synopsis: The Doctor and his companions arrive on a spaceship to find a crew sleeping. They wake up to warn The Doctor to flee as soon as possible as the Sensorites are keeping them prisoner. 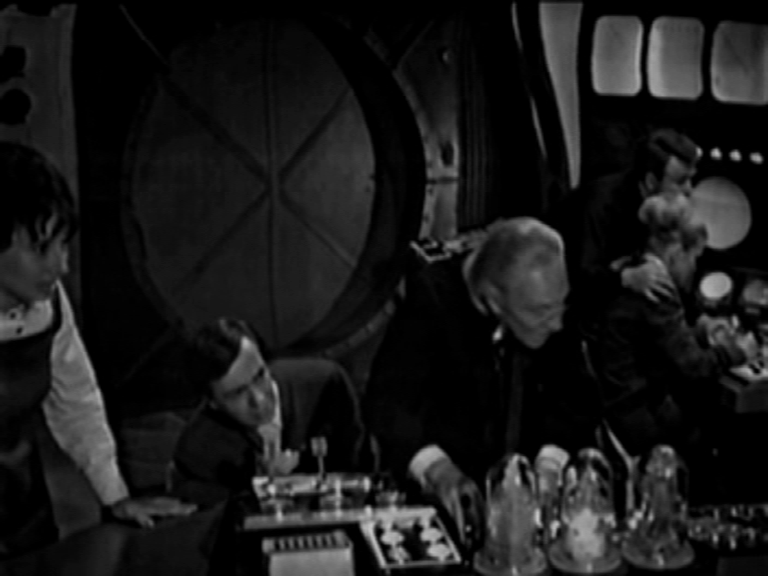 The Doctor and his companions return to the TARDIS to find the locking and opening mechanism for the TARDIS has been removed. They can’t get in. This is one of the weirder ones; not because of the story. In 1997, a new TV channel launched called Space. They decided to show episodes of Doctor Who, and they started right from the beginning. They only showed complete serials, and they had the rights to air episodes from the beginning of series one through to the seventh. That means all of the remaining Hartnell and Patrick Troughton episodes and a handful of Jon Pertwee stories. I watched the episodes every morning before school. Space was so new, and running in the tradition of CityTV that they weren’t afraid to take risks, so they aired the episodes like they originally aired, with no commercials. They never renewed it so I was on my own to find more of Pertwee and the following Doctors. What I don’t recall is ever seeing “The Sensorites.” I knew there would be stories I haven’t seen, but I thought the first would be the next story “The Reign Of Terror” which is missing two episodes and the BBC recently released it with animated episodes. So here I have a brand new story (to me), unfortunately it’s not the most compelling, and it’s six episodes long. The story quickly separates Barbara and Susan from Ian and The Doctor. 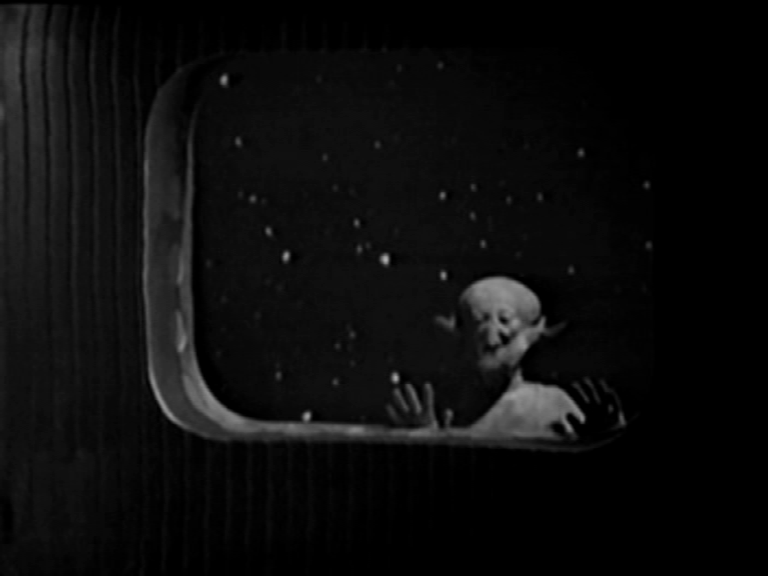 They enter a part of the ship with a trapped crew member who has lost his mind. John is feared to harm the women, but in reality he tries to help them. They encounter the Sensorites who are keeping the spaceship prisoner. They have encountered humans before. Discovered the humans had a desire to mine their planet, and left them in a state of disease. Basically, the Sensorites were facing what the First Nations faced 500 years ago. The creatures are supposed to be intimidating The Doctor and his companions, but they fail to convince the audience of this. This is where the First Nations argument falls apart. We only see the creatures as they are, timid and scared of the humans. We have no idea why they are like this at first, and we don’t understand why The Doctor is acting in such an aggressive manner. Interestingly, Susan sees The Sensorites for what they are, but The Doctor shuts down her attempts to negotiate with the scared creatures. This is the first time we see Susan becoming a character more than screams. She’s willing to stand up for what she believes in, until a need to respect her (wrong) grandfather comes to the forefront, and makes her abandon her will. This could’ve been an interesting Susan to travel with; she could have given us what The Doctor would become, the saviour of the universe. Instead, the woman had to learn her place. Ian finds The Sensorites’ class system to be disgusting, which is odd, coming from a British man in the ’60s. They soon find out that The Sensorites have been dying since the humans departed. They are facing a disease that is slowly killing the Sensorite people. 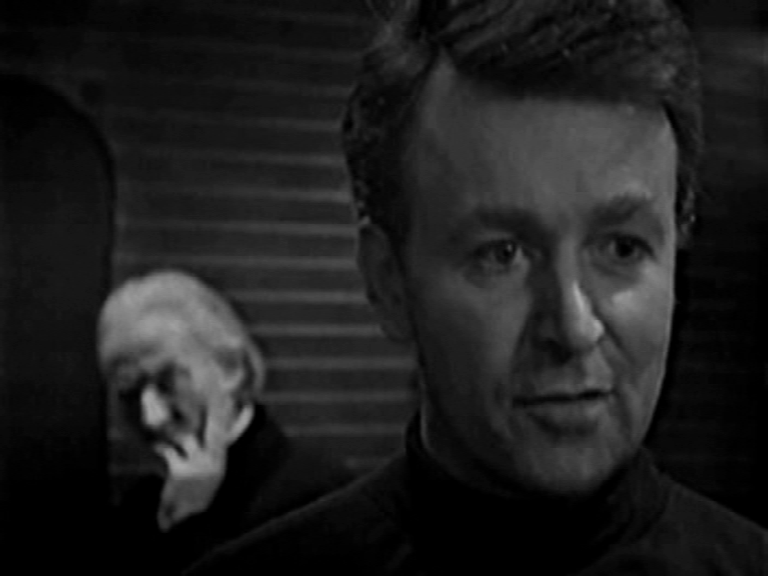 The Doctor earns the trust of the first elder, and the city administrator in turn decides that this is not acceptable; he plots to kill The Doctor. The story gets better and better as it goes along, and it’s actually quite entertaining. I watched the last three episodes in one sitting, thus proving that it’s not as tedious as I was expecting earlier. We also have a brief description of Susan’s and The Doctor’s home planet. We’ll later learn it’s called Gallifrey, but this is the first mention of it.